Above are some examples of photographs I gave a sepia tone. As you can see sepia can look differently depending how you apply the effect. Like black and white film, sepia toning also adds a sense of class and timelessness to photos. In fact, the brown scale allows the picture treated in sepia to adopt the same feel as the original sepia pictures of long ago. This bridge of time lends sepia-treated portraits a classic, enduring look. Most editing software can easily render a color image in the warm browns of sepia toning. Similarly, digital cameras often include a sepia tone setting. To use sepia tones with a digital camera, just set the camera to “sepia” and start taking pictures. However, because the quality of a digital camera’s sepia setting varies, it may not necessarily produce pictures equal in quality to the original sepia tone process. If you find this to be the case, then use your digital camera to take color pictures. The color pictures can later be transformed into sepia with imaging software. By using graphics software to instill sepia, you can adjust the brightness and contrast of the resulting image. Often, even the most basic photo editing programs include a sepia tone option. Here are instructions below for 2 free online photo editing programs (just log on and use their software) and one free imaging program you can download and use on your computer. Go to Flickr.com or Photobucket.com. Follow the instructions to join and log on. Upload photos by clicking on upload, selecting the files to upload and uploading. Before you change your photo to sepia you can autofix, adjust brightness, contrast and many other characteristics of the photo. Locate the SEPIA button or tab and click. Open advanced Options and FADE the sepia effect to your liking. Open software and select your photo from the files/folders on the left. Double click on your photo. Then you can Sharpen, adjust Saturation, Brightness, etc. If the image is in color, go to Image > Adjust > Desaturate and skip to step 4. If the image is in grayscale go to Image > Mode > RGB Color. Go to Image > Adjust > Variations. Move the Fine<-->Coarse slider down one notch less than the middle. Click on More Yellow once. Click on More Red once. Use the Save... button in the Variations dialog to save the sepia tone settings. The next time you want to use it, just load the saved settings. 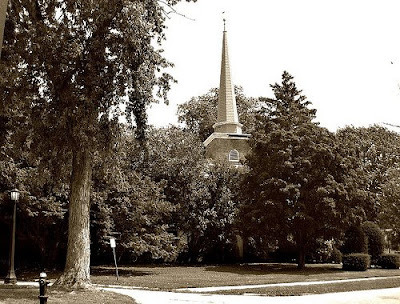 Use Desaturate and experiment with Variations to apply other color tints to your photos. Open the image in Photoshop Elements. If the image is in color, go to Enhance > Adjust Color > Remove Color and skip to step 4. Go to Enhance > Adjust Color > Color Variations. Move the Adjust Color Intensity slider down one notch less than the middle. Click on Decrease Blue once. Click on Increase Red once. Experiment with Color Variations to apply other color tints to your photos. There are many other photo editing programs you can use. If you have trouble with these or other programs feel free to leave a comment and I'll try to help you. Create your post and upload it to your blog. 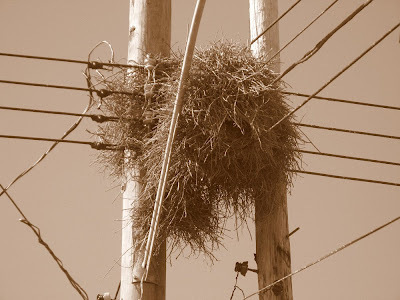 Make sure you link to SEPIA SCENES from your blog post. Come back to this blog and sign in to Mr. Linky and leave a comment. Looking forward to seeing your wonderful photos! 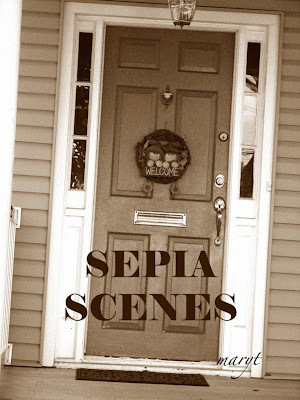 * FEEL FREE TO USE THE SEPIA SCENES BADGE ABOVE ON YOUR POST. This is very cool Mene,Mary! I'm up now,HERE. Since this is about techniques, I thought I'd share a few. 2. Once the image is sufficiently "reddened", use Image > Adjust > Desaturate menu item to create what appears to be a gray scale image. 3. Tinker with the red and green channels in the Channel mixer until the tone comes out the way I want it -- or, until I get a monochrome "bronze" cast. If it comes out too "bronze", then use the Filter > Fade [last filter] to dial it down. This is a little more involved that using the "Variations" menu, but it gives a finer degree of control over the finished product. This is probably not very useful information unless you (a) shoot film and (b) have a film scanner, but it gave me a very striking sepia tone so I thought I'd include it anyway. I accidentally scanned a true black and white negative (Tri-X 400) as a color negative. I just forgot to switch the scanner's mode from Color negative to B&W negative. The result was so striking that I didn't bother correcting it. To date, I haven't tried shooting in Monochrome mode with a sepia style. My camera will do it (as well as monochrome blue and purple of all things) I just haven't experimented with it. For some unknown reason I missed this on Wednesday. So I will join next wednesday ! For photo memes I am always there, lol !